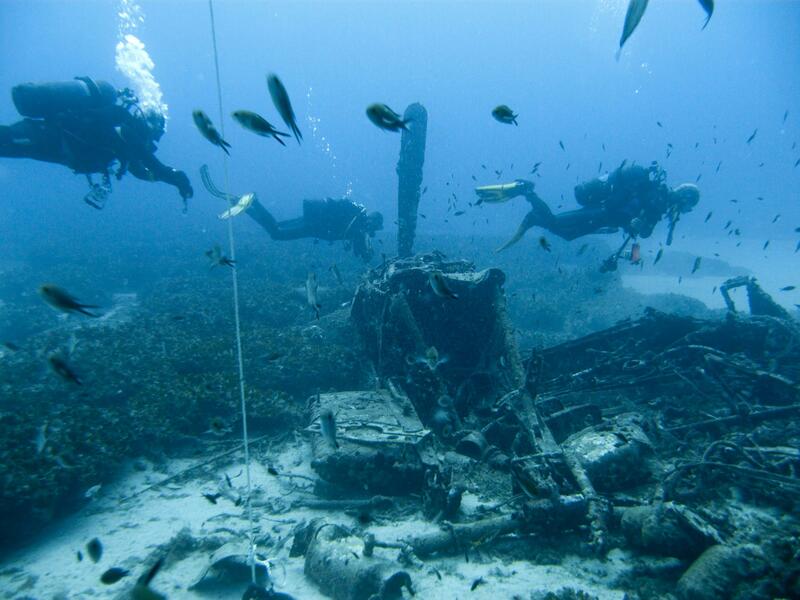 Mosquito Fighter Bomber is an airplane wreck dive in Malta. De Havilland Mosquito was British twin-engine two-seat multipurpose aircraft, which was mainly used as a fighter-bomber plane. Mosquito was composed almost entirely of wood, apart from the aluminium tail. The airplane was about 13.6 m in length with 16.5 m wingspan. On 26th March 1949 on a mail run, this Mosquito encountered problems with its starboard engine on take-off and tried to return to Hal Far, but crash landed into the sea. 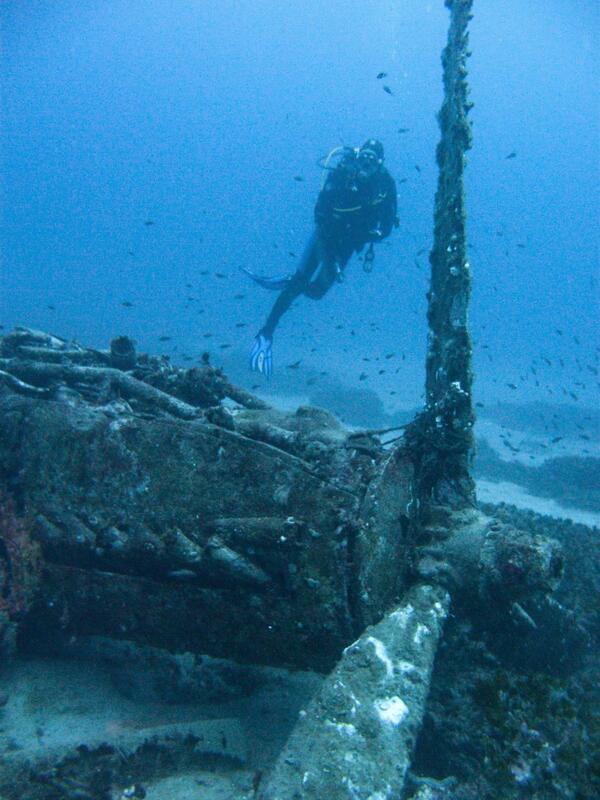 Mosquito Fighter Bomber wreck is located about 500 m off the coast of Delimara Point on the east side of Malta. This is a deep boat dive for experienced divers with sometimes strong currents. 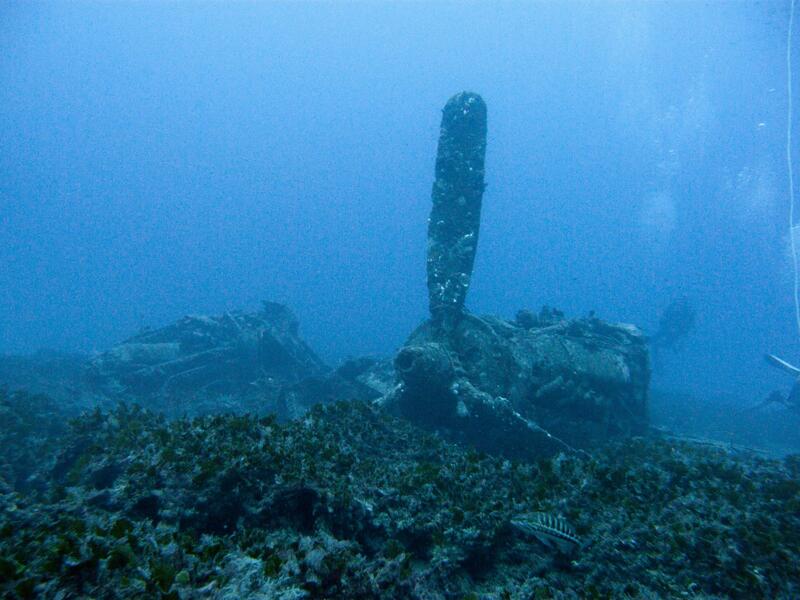 The airplane wreck lies upside down at 40 m depth on a seabed of sand and small reefs. The wooden parts of the plane have well decayed and there is no superstructure left. The remains consist of the two engines and a twisted metal frame and mass of cables between them. The aluminium tail is mostly buried in the sand, and there are miscellaneous metal parts around the main plane wreckage. The engines are intact and starboard engine still has its propeller attached. There is another airplane wreck nearby, Bristol Blenheim Bomber. Other airplane wreck dives around Malta are Bristol Beaufighter and Lockheed P2V Neptune. 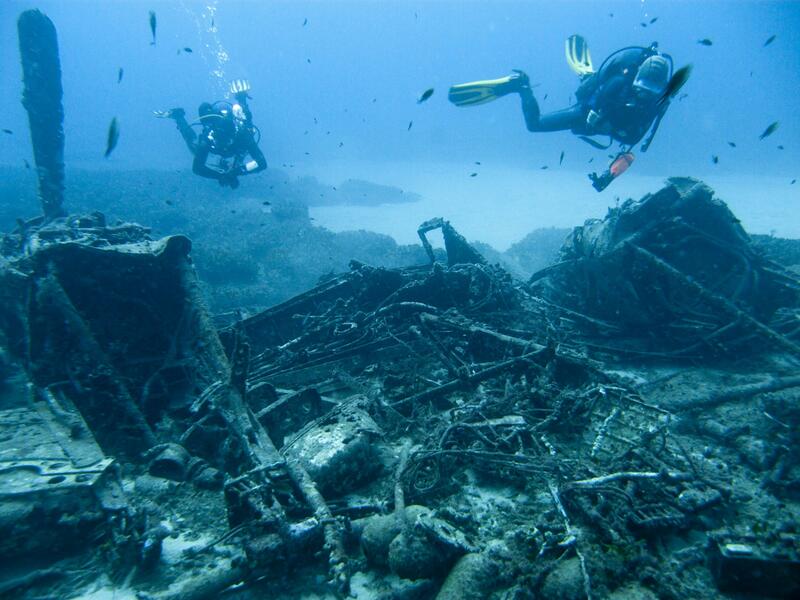 These plane wrecks are between 32 and 42 m deep. For technical divers there are three deeper airplane wrecks: Fairey Swordfish at 55 m, Junkers Ju 88 at 57 m, and Liberator Bomber B24 at 90 m depth.